Ok for those that may grumble allow me to offer this. I am a member of several other well known rc forums in which this subject has been referenced and yes I could simply search there but for the sake of adding to knowledge base here in the Flitetest forums I am posting this question. 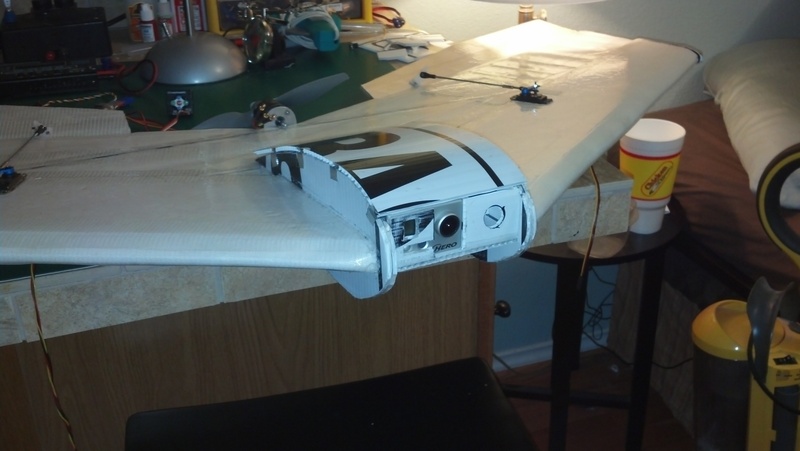 I am currently working on a scratchbuilt 50" kfm4 flying wing loosely based on several other well know and proven dimensions just don't tell Chris Klick (for those who know who that is) lol. I have built several RC FoamFighters models that used kfm style wings and they didn't need any reflex to speak of but the general consensus seems be a default of 2-3 degrees reflex on any flying wing for the maiden that can then be dialed in. 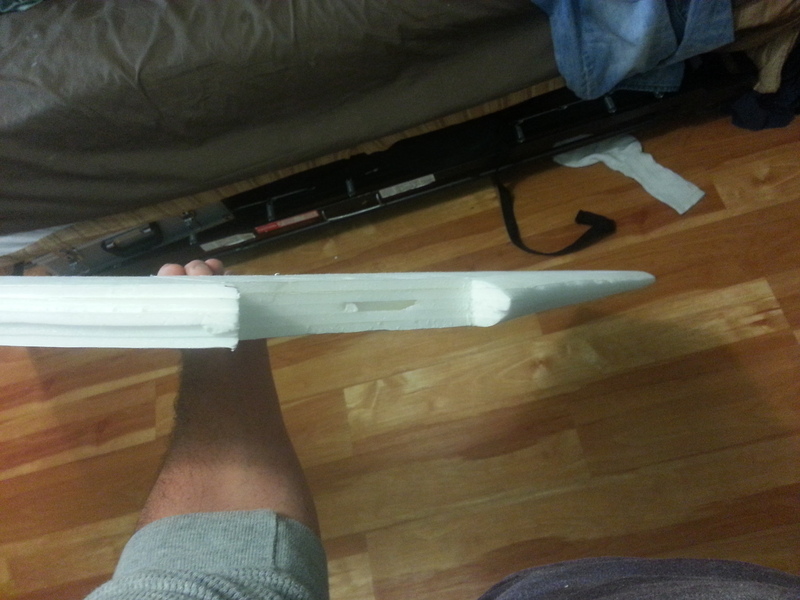 Is this the case with a KFm4 as it pertains to a flying wing? I have seen suggestions and rumors by some that no reflex is required on a symmetrical flying wing which would be great....less drag. Take it easy on me as my flying wing/delta experience so far only includes the aforementioned FF models and one scratchbuilt flying wing of my own design that did fly but had horrible tip stall characteristics leading to its ultimate demise. 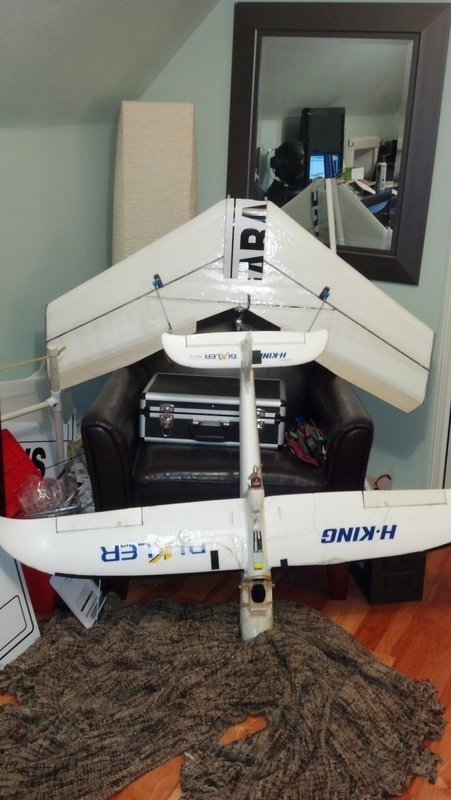 For those with more experience than I....how would you setup your flying wing for a successful maiden? 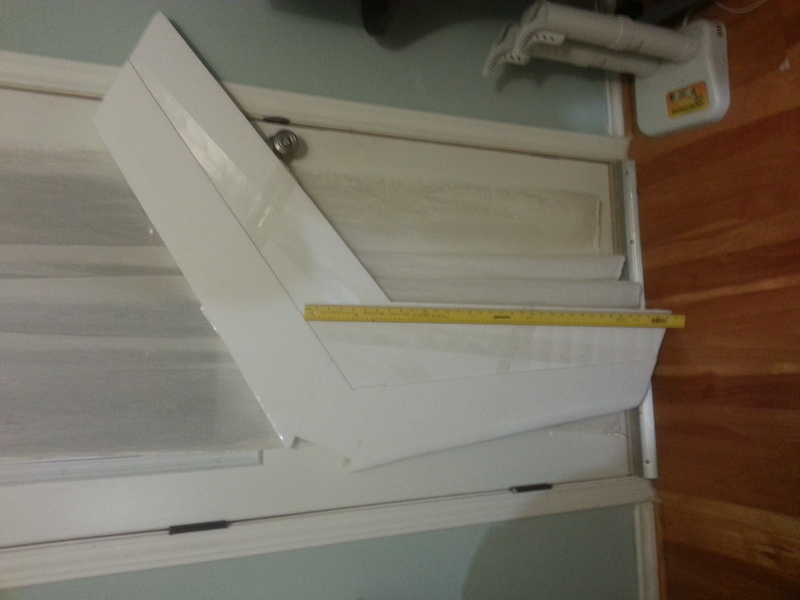 To clarify this is a foamboard laminate build, flat as flat could be so proper "twist" is out of the question, reflex (if needed) will be achieved by means of elevon position. In my experience, reflex is required for a nicely stable flying wing. My first wing was a KF-1 with no reflex. 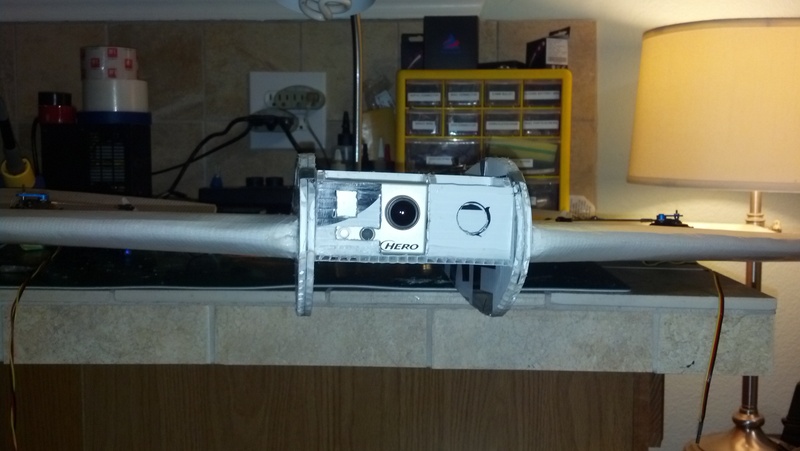 It flew, but would "snap" through the horizontal. Meaning, it had a hard time deciding whether it wanted to be nose up or nose down. But, as you said, that is easily fixed with elevons. 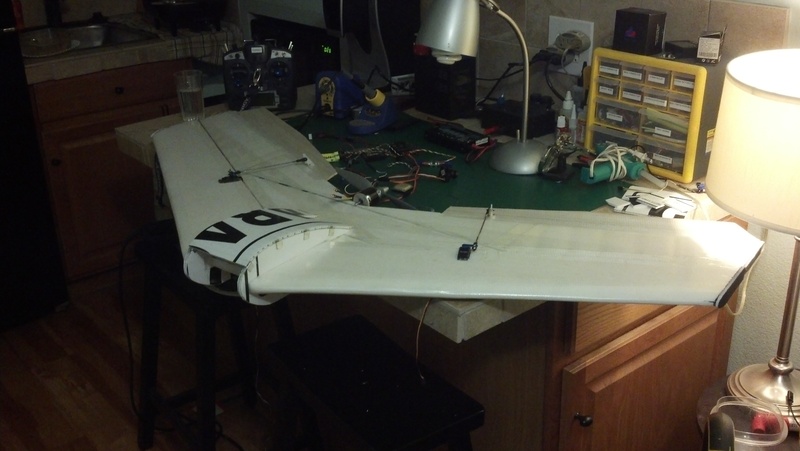 I've taken to hot wiring my wings with reflex built into the airfoil. As for the twist at the tips, my Assassin has none and flies like its on rails. But, when I hot wire my wing cores, I do add a slight twist. I don't think it critical, though. Reflex in our applications is accomplished by adding up elevator in the controls. Elevon in the case of a flying wing. 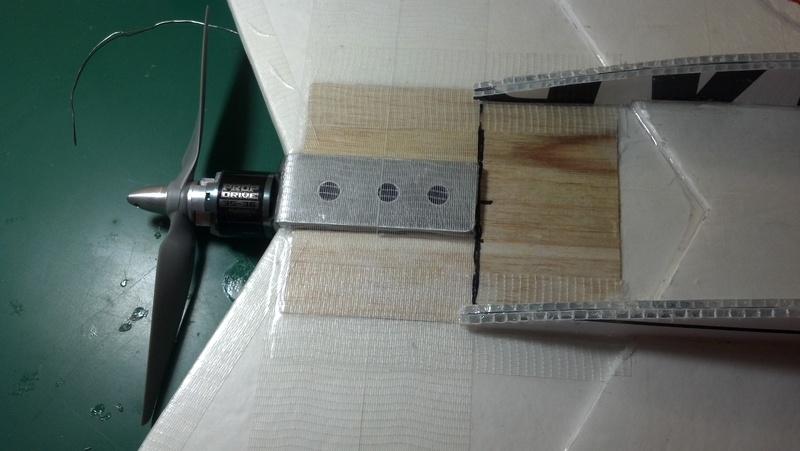 This makes the wing fly at a positive angle of attack and therefore generates lift. However, there is not much needed and I generally set my testflights up with level control throws, launch and dial in the needed amount, usually a click or two of elevator if needed. 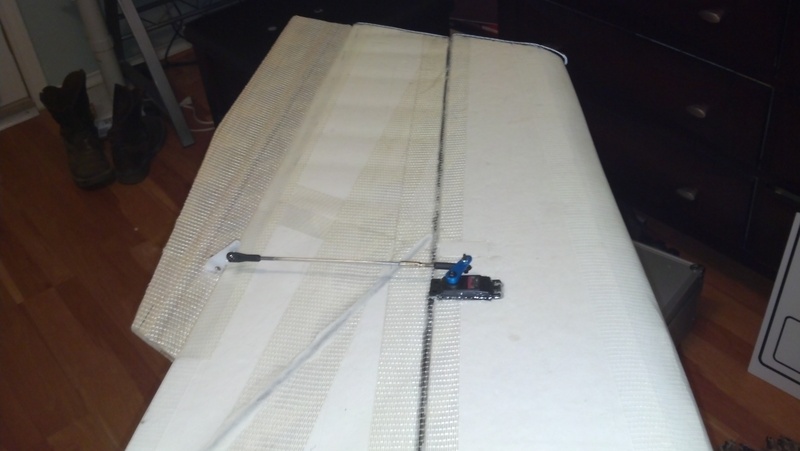 Proper reflex is built into the airfoil on full sized or airfoiled wings. It is an up sweep towards the tail of the airfoil. We simulate that with just up control deflection. If your CG is off and way forward. If your airplane is extremely heavy. IF you have your controls reversed, you would need to add the up trim before launch just to calm the first few seconds before the crash. If on the other hand you have everything round about right, you'll be find holding a little up into the wing while you bump the trim to level. Don't overthink this problem. CG between 15-19% of MAC, it starts getting really unstable about 21%. If you are flying and then give it up elevator and notice the tail of the plane dropping and THEN the flight path starts to curve up, your CG is too far forward. If you launch it and breath on the elevator and the plane immeadiatly pitches up, over and goes into a flat spin, well, your cg is too far aft. I was flying one delta where when the motor was running I was in control. Soon as the wind stopped blowing over my control surfaces I lost control, it slowed and floated down flat like a leaf. Somehow got the CG back to 25% and flew it for a bit without crashing. Moved my battery pack forward and relaunched for a surprisingly pleasant afternoon. You don't often get such gentle learning experiences. Ok so I totally agree as it comes to flying wings CG plays a far more critical role in the success or failure of the model, reflex to a lesser degree. Level control throws for maiden with plenty of expo dialed in for good measure. The interesting note is your mention of 15-19% of MAC with 21% being a bit squirrely, the flying wing calculators I referenced in this build all had a default of 20% of MAC, should I recalculate at perhaps 17%? Although limited in my experience with flying wings I would much rather have a nose heavy maiden as it will at least be flyable and trimable whereas a tail heavy flying wing....never ends well. All of my Flippers and my Bulldawg/RocketDawgs had their CG at 19%. They are all Glow though and with a full tank of fuel that is quite a bit further forward. The 21% I had was pretty touchy on pitch and I don't use much, maybe half inch for full throw. I also tend to like to know that when I pull full up on my ship it won't go into what we used to call a Gremlin Death Spin. Good ole Gremmys, too far aft on the CG and during a loop you'd get into a flat spin that you were in all the way to the ground. Kinda fun actually but to easy to do UN-intentionally. If you're electric, mark 20% but see if you can get it a bit further forward of that, don't go any further back. I know it will fly with the CG between what I specified. Will you like it behind there? There is an imaginary line at 25% that you can just barely see on all wings. In tiny print it says "Here there be monsters". Stay away from there. Since it is taking me forever and a day to finish this little project thought I would go ahead and attach some pics thus far perhaps to serve as motivation for myself. It is seriously way passed my bedtime and as I have familial/higher deity obligations in the morning I really need to get to bed. Will amend pics tomorrow with specs.....seriously could have had this thing flying weeks ago (or not flying) but just been pulled in a thousand directions as of late.....night all! Your getting there and you camera bay looks good. Yup It'll take a hard nose-in to get to the camera! Wow I have been in some kind of RC "funk" here lately. This guy is still sitting in the corner pretty much unchanged from last pics.....started new job that is occupying a great deal of my time as of late plus the damn wind won't stop blowing. This weekend will be the last push to get this thing finished and ready for maiden.....shes getting a bit on the fat side though. 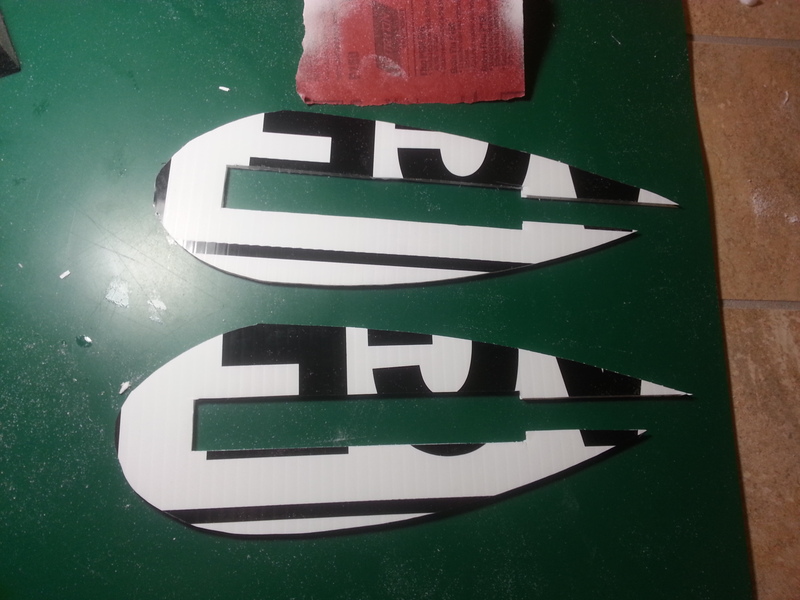 Next foamboard wing will utilize either a armin wing or foam core.....this laminate kfm can get weighty quick. wing loading numbers still good though.....long distance fpv may be out of the question....and with that NTM motor watts/lbs ain't no problem....of course at 1700 to 1800g auw launching may get interesting. 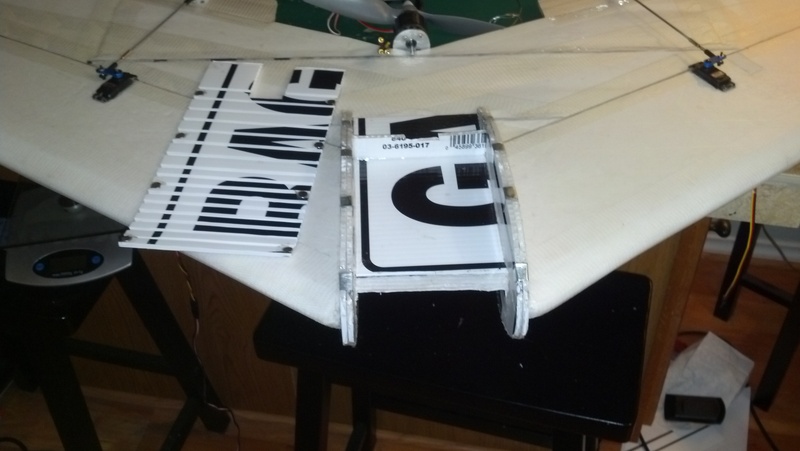 It has taken me long enough with uncooperative weather and work schedule but FINALLY maidened the wing. With 2 2200mah lipos and an extra 120g of dummy weight on the nose to fill in for gopro and flight cam......1815g at launch. Fortunately I had more than 1 to 1 thrust with NTM Prop Drive 35-36A and a 9x4.5 APC....so it really came down to a side arm chuck at about 3/4 throttle and about 40yds to "settle down". Reflex was simply not needed at all, tabbed out elevator trim but could still use less reflex, offset control arms a bit to allow for reflex but will recenter on next flight so that center is center. After a bit of tweaking, found 40% expo 70 rate on elevator and 35% expo 80 rate on aileron to be really rather flyable. Despite the weight this thing has fairly good low speed handling and a more than adequate glide rate. Totally mushy through stalls.....so much so I can't really even call it a stall. But what I am most amazed by was the absolute hands off banking......I tend to micro manage turns but with this wing you can set your bank angle with one little "blip" of aileron input and it will hold that bank straight through into perpetuity without dropping the nose or slipping the tail.....without hardly any elevator "yank".....one more "blip" of aileron to bring it back to level when you have completed your turn radius. It really is on rails. Still have a bit of elevator pitchiness but only a tad....cg a bit aft which i am fine with....will just dial in some more expo next go round....would rather it be on the cusp of tail heavy. Also have a slight up pitch with throttle input but manageable, believe it has to do with aforementioned reflex that I need to take out. Despite those few little correctable issues this thing flew amazing.....TOTALLY pleased with my first attempt at a proper flying wing.